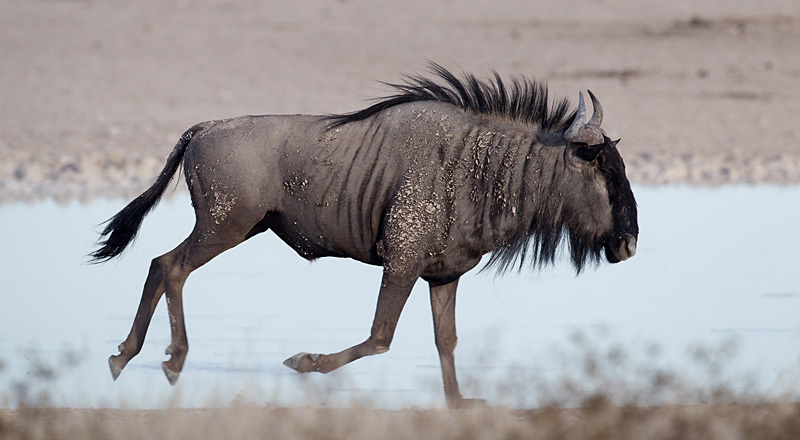 What did one wildebeest call another wildebeest? Well, things apparently got a little more serious than that between these two. 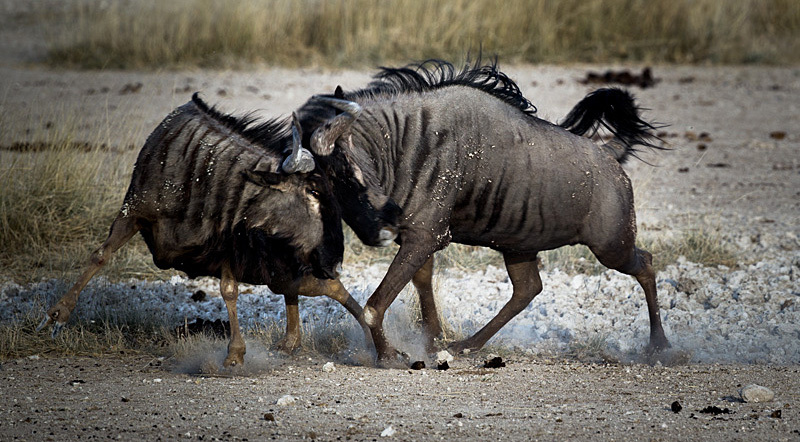 A series of quick grunts followed by a clash of horns signaled the start of an epic battle for dominance. 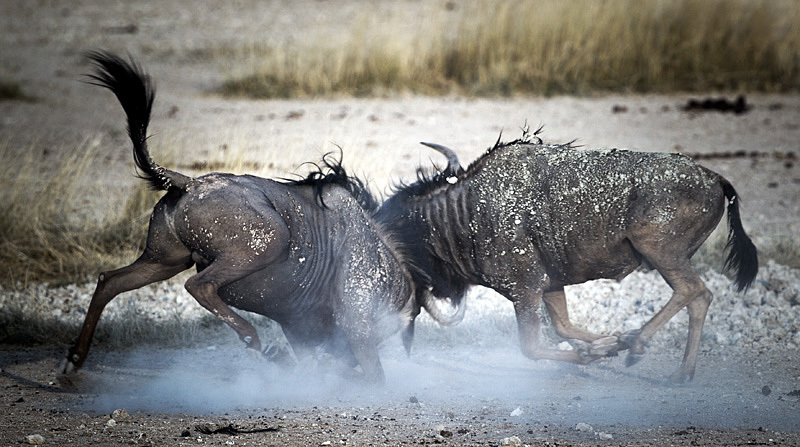 It doesn’t get to the fighting stage unless both animals are evenly matched, and these two were definitely well matched. There was no clear favorite as they traded powerful blows initially. Hair and skin flew from the necks of each animal. Heavy rocks on the battleground got kicked around in all directions. There was no melodramatic background score, slow motion replays or glorious narration as the midday silence was only interrupted by the discordant sounds of clashing horns. Half an hour into the fight death looked the likely outcome, whether it would be one or both we couldn’t say. 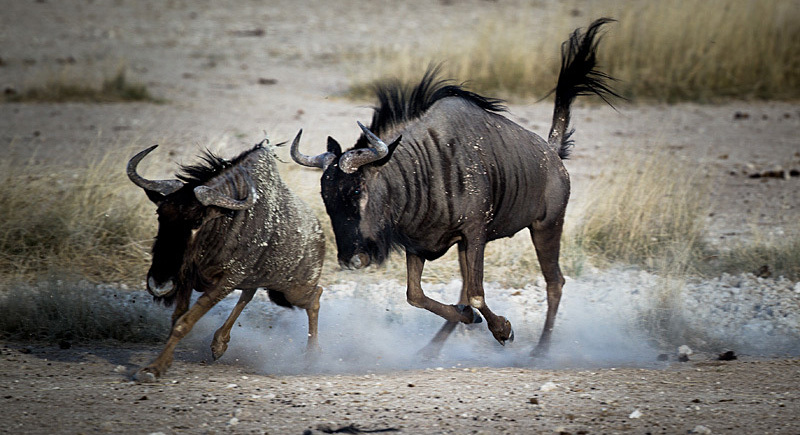 And as quickly as the fight started the intruder gave in and ran, with the victor in hot pursuit. The winner probably never intended the fight to go on as the chase was only half-hearted and a token show of power. The loser disappeared into the horizon without stopping or looking back.